It has been such a long time since I've posted. Summer time is such a busy time and I've been working a ton keeping me unfortunately away from all of you! As the weather begins to cool down however I am looking forward to getting back to posting a little more regular than I was before. I am also looking at getting back into all of the challenges that I have had a blast playing along with in the past. I do however want to share with you today a couple cards that I made several months ago but which I haven't had a chance to post. I didn't play along with any challenge or follow any sketches, but rather created these cards from scratch. 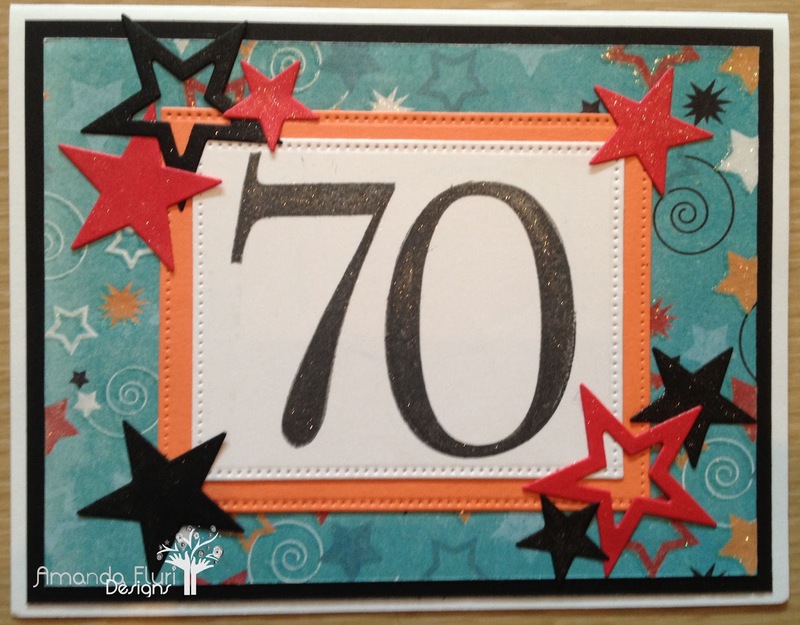 I had a friend ask if I would make a couple cards for her uncle who was turning 70. 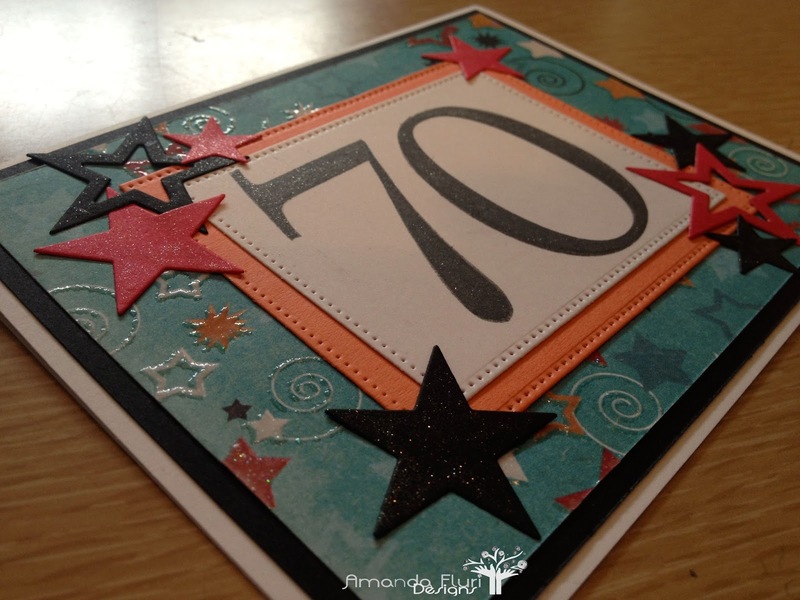 She also requested that I make a card from her mom to her mom's brother for his 70th. I thought that this would be a ton of fun, and I was for sure right. I asked her a little bit about her uncle and she let me know that he was a farmer, so something that played into that would be fun and something cute for him. This sounded like a ton of fun, and I couldn't wait to get started...except...I didn't own any farm type stamps that I could use for these cards, so I went out and purchased something that would fit. 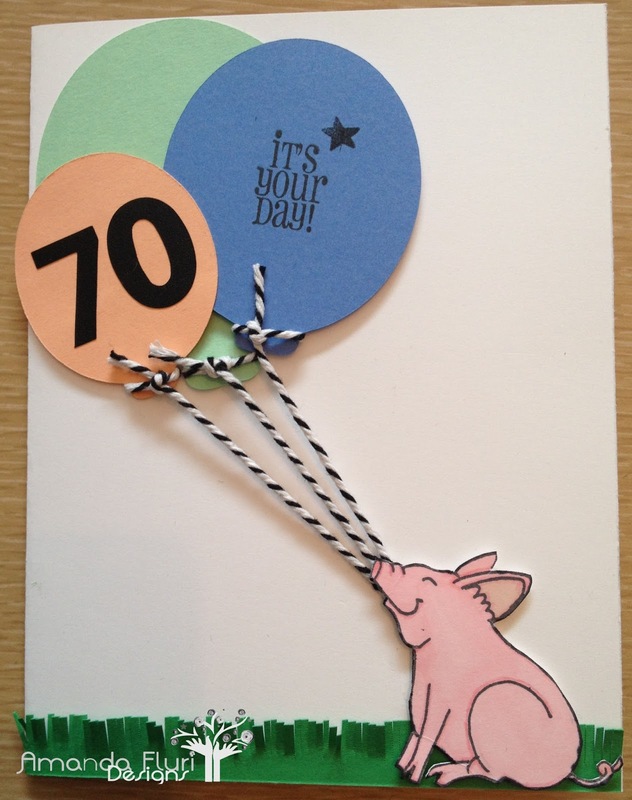 The first card that I am going to show you really does play up the fact that it is his 70th Birthday. I wanted the number to be the focal point of the card, and it certainly didn't disappoint. 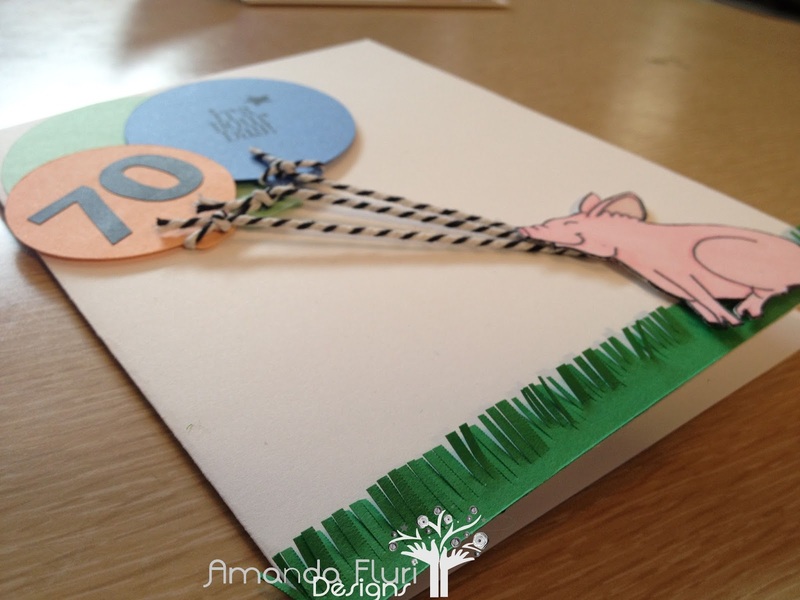 Paper Trimmer - used to cut the card base and the background layers on the card. The second card that I made I had purchased a new stamp for as I had mentioned earlier in the post. The stamp had a little butterfly in the original image but I got rid of it and love how cute the card turned out. I just think its so stinken cute....(pun definitely intended) haha! the card is so simple and yet I think it's perfect for a farmer. I can't wait to share some other beautiful things with you very soon!